The human physiology experiment module on the Columbus orbital laboratory was successfully activated Saturday by Léopold Eyharts. This is good news for the CADMOS facility in Toulouse, which is monitoring the module. Alain Maillet talks to the ISS from Toulouse. Crédits : CNES/P. Jalby. 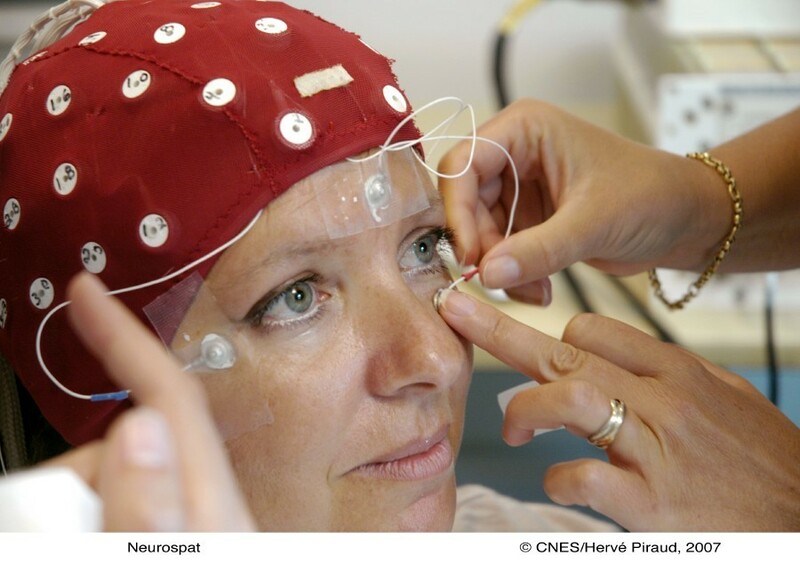 The successful activation of the European Physiology Module (EPM) is "a relief and a real satisfaction", confides CADMOS engineer Alain Maillet. 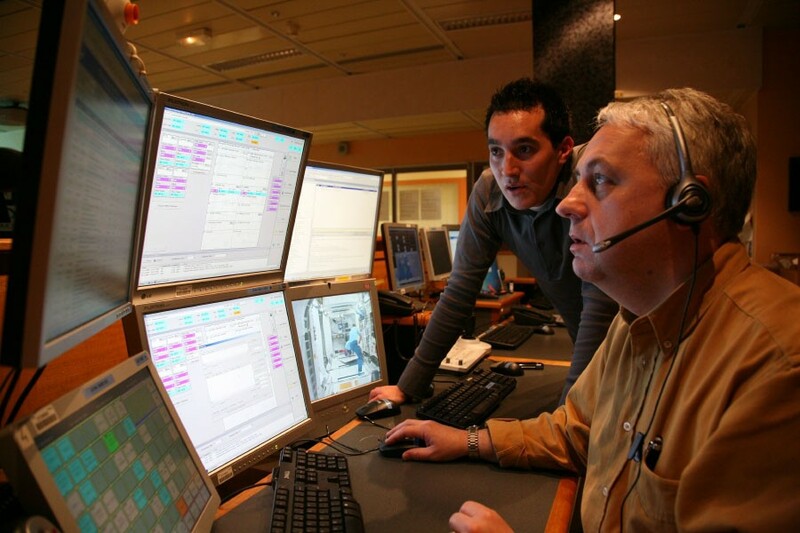 CADMOS is the facility at CNES in charge of operating the EPM from Toulouse. This sense of relief is understandable, since things haven’t gone quite according to plan. The US space shuttle Atlantis finally launched nearly 2 months late, lofting Europe’s Columbus laboratory—and inside it the EPM—to the International Space Station (ISS) where it was berthed on Monday 11 February. Columbus is attached to the ISS on Monday 11 February. Crédits : NASA. After a long wait, Columbus is now on station and the EPM was activated by French astronaut Léopold Eyharts on Saturday. The module is functioning perfectly. “I feel a huge sense of joy and achievement now that we have Columbus up and running,” he said proudly during a press conference just minutes after activating the laboratory. The EPM is a 2-metre-high rack accommodating equipment for physiology experiments that will allow scientists on the ground to acquire a wealth of data on how the human body responds under microgravity conditions. The EPM (the pink rack) is 2 metres high. Crédits : ESA/S. Corvaja. Crédits : ESA/S. Corvaja. Léopold Eyharts was the first to enter Columbus last Tuesday, hooking up the laboratory’s power, water-cooling and computer systems. The EPM was fired up on Saturday at about 1.00 p.m. CET. The CADMOS facility then ran checks from the ground to ensure everything is functioning as planned. The first 2 modules in the rack—Cardiolab1, which will be used to study the cardiovascular system, and MEEMM2, which will focus among other things on motor coordination and sleep—were also switched on. But Léopold Eyharts won’t be doing the first experiments. 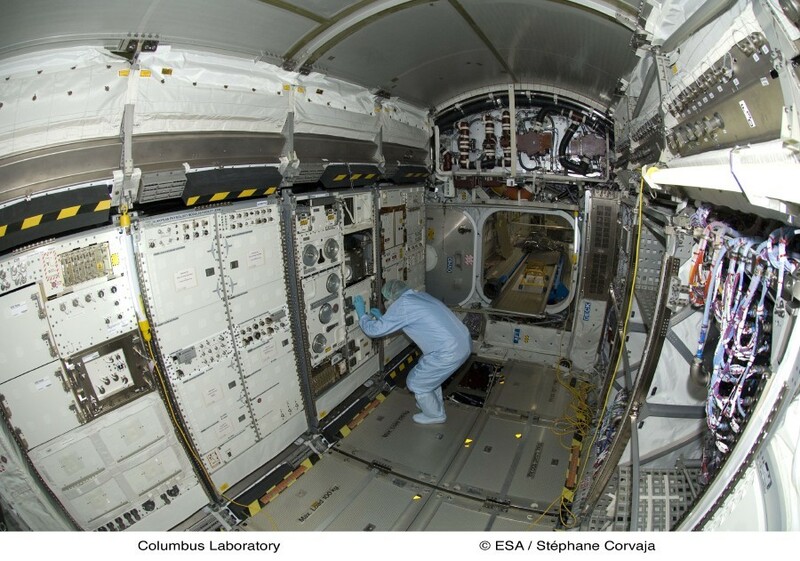 “ Astronauts working in Columbus with the EPM have a dual mission ,” explains Alain Maillet. “They perform the fine tuning we can’t do from the ground and are also experiment subjects.” The first person to use the EPM will be a Russian astronaut scheduled to join the ISS crew late this year on a Soyuz flight. Electrode cap used with the MEEMM. Crédits : CNES/H.Piraud. This astronaut will be wired up with a battery of body sensors so that scientists on the ground can gather data on heart rate, balance mechanisms and quality of sleep under microgravity conditions. 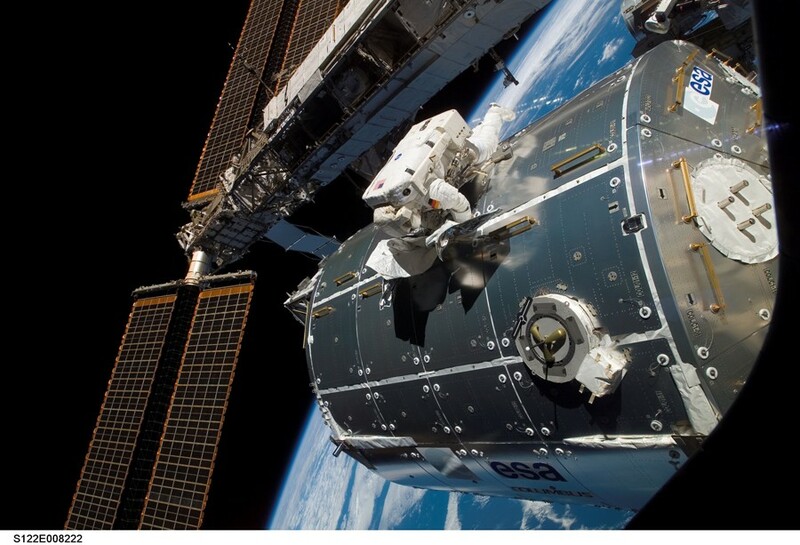 In its current configuration, the EPM is also equipped to collect biology samples (blood, urine and saliva) that can be kept at different temperatures on the ISS for later analysis on Earth. Other modules are expected to be added to the EPM in the years ahead, for example to study bone metabolism or the hormone system.